The upgrade to Odyssey v3.5 introduces multi-sig addresses, a feature that is attractive for institutions and other high net worth investors. That is a necessary ingredient for Tron prices to rally from current supports to 3.1 cents and even 4 cents. Amid marauding bears of 2018, Tron transitioned to their blockchain, launched a VM and was even successful in that some projects shifted from Ethereum to Tron thanks to their irresistible offers. Part of their success is because of what the project wants to achieve. However, what’s fueling conversion is due to their tireless marketing. 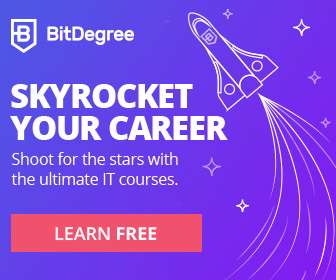 BitTorrent is now part of the fold and with 100 million users yearning for speed and reward via BTT, it was no surprise that the number of accounts spiked to two million in 181 days. Not surprising, the leap from one million to two million was faster taking 63 days. With exciting development and the network’s preparation for institutional investment after Odyssey v3.5 upgrade the Tron network will now have the capability to build an OCN chain complete with blockchain interoperability fostering dApp development and boosting on-chain business transactions. Nonetheless, a major takeout in the Feb 28 upgrade is the introduction of multi-signatures and account management which is perfect for institutional grade investors. Like Ripple, Tron (TRX) is consolidating and trading within a 0.4 cents range with caps at 2.5 cents and bases at 2.1 cents. In line with our previous TRX/USD trade plan, it is vital that prices close above 2.5 cents with high participation hinting at interest. That is not the case according to events in the daily chart. BTC is finding resistance at the 20-day MA, and the three-day bull reversal pattern between Mar 2 and 5 is yet to be confirmed but revealing bulls. As long as prices are within Mar 5 high low with low volumes, buyers are in charge from an effort versus result point of view. It is after prices slide below 2.1 cents that our stance will be null. On the other hand, gains above 2.5 cents catalyze demand, triggering our longs, which in turn drives prices towards 3.1 cents. Mar 5 is our anchor bar and because it has high volumes—12 million and bullish, trend confirmation requires equally high volumes exceeding 12 million or 37 million of Feb 24. 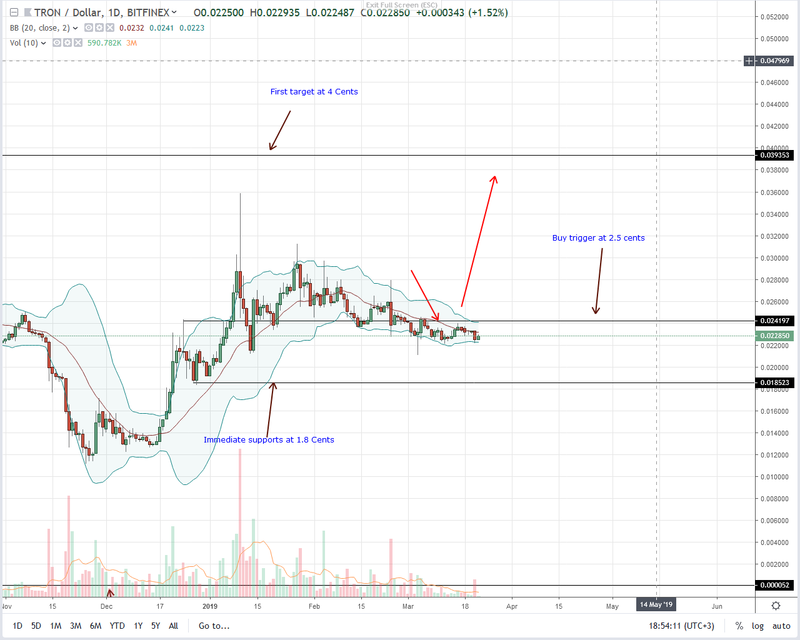 The post Tron (TRX) Firm above 2 Cents, Odyssey v3.5 Upgrade is Consequential appeared first on NewsBTC.